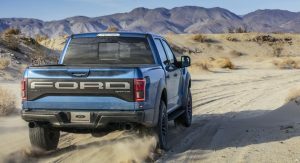 Ford will allegedly send off the current-generation Ford F-150 Raptor with a special version powered by the same 5.2-liter supercharged V8 engine as the Shelby Mustang GT500. 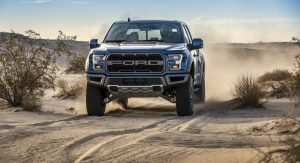 Car and Driver broke the news citing multiple unnamed sources within the car manufacturer and if true, a GT500-powered Ford F-150 Raptor could be the most insane off-road-focused pickup truck ever conceived. 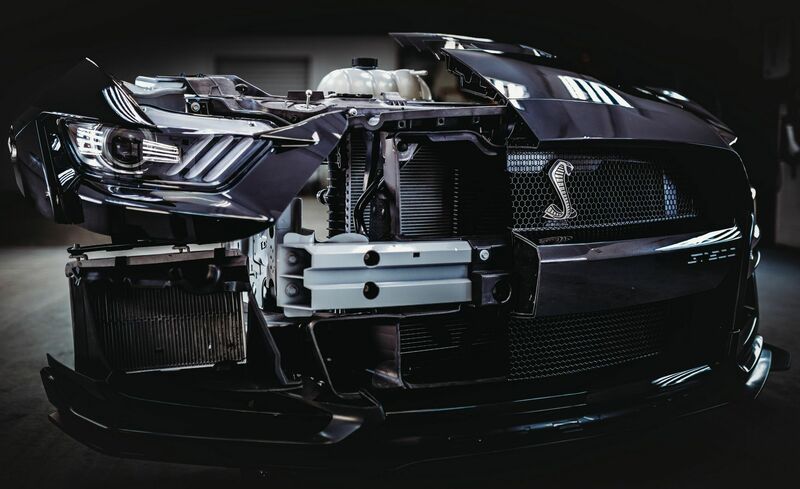 Ford still hasn’t announced how much power the Shelby Mustang GT500’s V8 will deliver, other than confirming that it will pump out in excess of 700 hp. 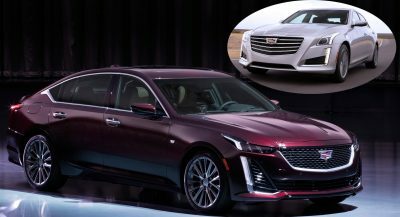 If this engine were to find it way into the Raptor, it would likely retain the same 10-speed automatic transmission as the Mustang GT500 that’s also used by the 650 hp Chevrolet Camaro ZL1. 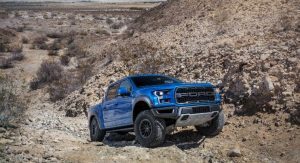 Building a Ford F-150 Raptor with more than 700 hp would also ensure that Ford has an answer to the upcoming Ram Rebel TRX pickup, which is expected to be powered by the 6.2-liter supercharged V8 of the Dodge Hellcat twins with an identical 707 hp. 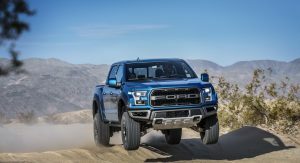 The Raptor has long reigned supreme over this segment of the pickup truck market, and Ford logically won’t be willing to hand over that title to Fiat Chrysler Automobiles. 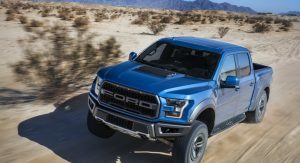 If all goes to plan, the Mustang GT500-powered F-150 Raptor could arrive towards the end of 2020 and would likely be produced for just one or two model years before the current-generation F-150 is replaced in 2021 or 2022. 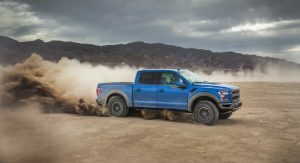 The super-pickup will obviously be priced at a premium over the ‘regular’ Raptor and probably command a starting price in excess of $70,000. Good idea. 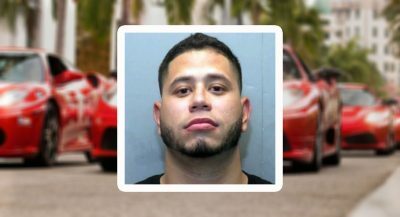 Ecotec 6 may be up to the task…but it’s just horrid on “opticals” when you’re trynna sell a Apex Predator vehicle like the Raptor. (or the GT) Let this be the last stop before full electrification.